Welcome to Sutherland Plumbing’s Newest Master Plumber! Last week Sutherland Plumbing hired our newest Master Plumber – John Benton. John is an Oregon Licensed Journeyman (Master) Plumber with 20 years experience. Welcome John! 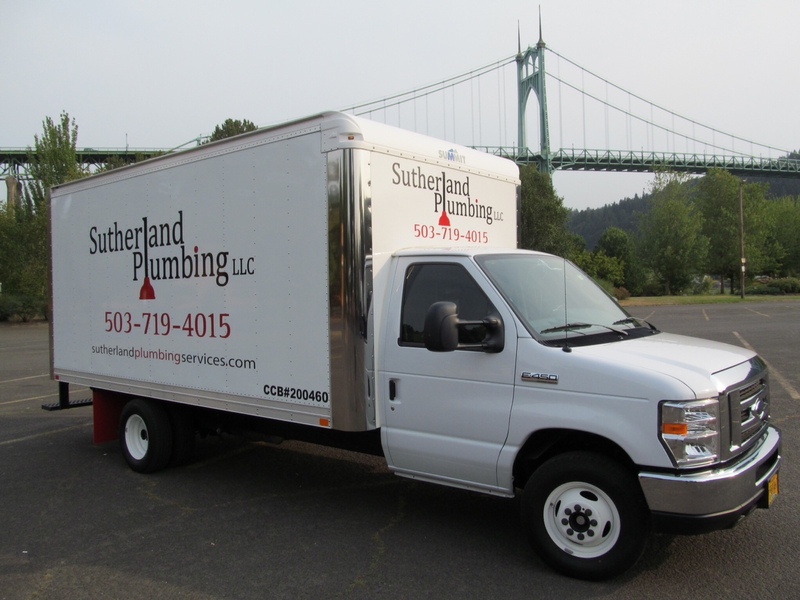 Here’s looking forward to many years of serving the Portland Metro Area with top quality plumbing services! This entry was posted in Company Info, Sutherland Plumbing at Work and tagged Family Company, John Benton, Plumbing Certifications, Portland Plumber on February 26, 2015 by Ti Sutherland. The Best Portland Plumbers get The Best Online Reviews! 1) Replaced broken garbage disposal system & updated the connected plumbing. 2) Replaced broken “frost-free” exterior hose spigot. 3) Unclogged sink drain & stopped exterior faucet leak. This is the 3rd time I’ve hired Ti and he is officially my “go-to” plumber. This time, he had a 2nd pair of helpful hands with his new apprentice Sean, who was an awesome hire! Both guys were very professional and worked well together as a team to get the jobs done quickly. Upon arrival, I walked them through my laundry list of plumbing issues, and Ti was thorough in his feedback on each issue. Due to my budget, I had them tackle only our biggest issues, which are listed above. The remaining “handyman-type” plumbing issues, I opted to try to fix myself, and Ti was super accommodating to explain the “how to” & he also provided a product list! What a GUY 🙂 Thanks again Ti and Sean, and keep up the great quality work! …and after the top-notch work from Sutherland Plumbing! This entry was posted in Reviews & Testimonials and tagged Clogged Drain, Garbage Disposal, Portland Plumbing Review on February 15, 2015 by Ti Sutherland. Sutherland Plumbing Wins Prestigious Award! 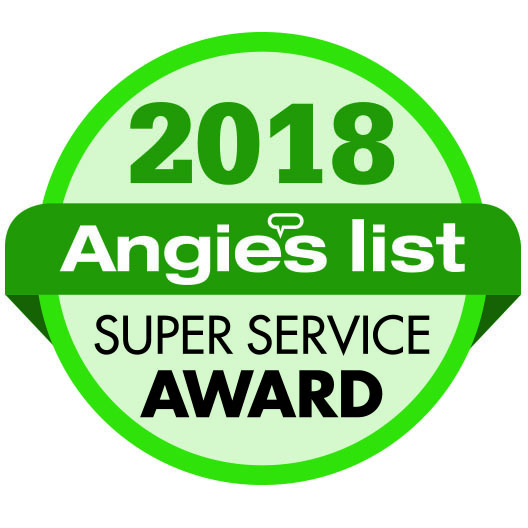 Sutherland Plumbing Earns the Esteemed 2014 Angie’s List Super Service Award!! This prestigious award reflects Sutherland Plumbing’s consistently high level of customer service. Sutherland Plumbing has earned the service industry’s coveted Angie’s List Super Service Award, reflecting an exemplary year of service provided to members of the local services marketplace and consumer review site in 2014. This entry was posted in Company Info, Reviews & Testimonials and tagged Plumbing Certifications, Portland Plumber, Portland Plumbing Review, Sutherland Plumbing Review on February 13, 2015 by Ti Sutherland. How to shut-off the main water supply to your home! After 20 years it still surprises me that so many (in fact most) clients don’t know how to go about turning-off the main water supply to their homes. 1) Locate and know where your water meter is located, typically you can find it near the curb or sidewalk in front of your house. 2) Open the lid to look inside. Not all lids are the same. Sometimes it’s necessary to remove the entire cover to see the meter or to access the shut off valve inside. It would do you well to familiarize yourself with the “how to” described here. I can usually tell if a customer/client has lived through a plumbing emergency or catastrophe by their knowledge of where & how to turn-off the main water supply. One family I met recently, had a bright red meter key conspicuously hanging on two nails in the garage. My client told me about a nightmare experience they had in the past, wherein a toilet supply line had ruptured and nobody knew the first thing about getting the water shut-off. The water line leaked several hundred, maybe thousands of gallons of water into the house before the water was shut-off by a responding emergency plumber. Not to mention the expense of the emergency service call, they now faced not only the repair of the broken toilet line (the least of their worries), but thousands of dollars in restoration repairs and a hefty insurance claim. The client went on to say that now everyone who lives in the house (including their 7 year-old) knows what the meter key is and how/when to use it! This entry was posted in Family & Home Safety, Pipes, Plumbing Tips, Water Leaks, Water Meters and tagged Portland Plumber on February 11, 2015 by Ti Sutherland. Important Reminder – The CCB is Important when choosing a plumber! The Oregon CCB “Oregon Construction Contractors Board” is responsible for safeguarding the security & property of Oregonians by preventing and resolving construction & contracting problems and by insuring contractors’ compliance with the law. The Board administers the Oregon Contractors’ Law that provides for the licensing of residential & commercial construction contractors, subcontractors and home inspectors; investigation and adjudication of complaints filed against licensees; and assessment of sanctions against unlawful contractors. In this sense they are the contractor police. Think: If you were planning to buy a car, it’s conceivable that most people spend hours reading reviews, researching & comparing options and perhaps even asking the opinions of people with first hand experience. Of course, you wouldn’t want to end up with something falling short of expectations, costing too much or breaking down on you, right? All this becomes exponentially risky when choosing to purchase from an unknown or an un-reputable source. Ironically, everyday consumers find themselves in an unfavorable position & out thousands of dollars because they hired a contractor or somebody posing as a contractor, while at the same time unknowingly forgoing some or all of their consumer rights. This doesn’t have to happen to you ! Check-out these 16 ways to avoid remodeling, repair & construction problems. The document in the above link is the instruction manual for hiring a contractor and/or planning a construction, remodel or repair project that requires a contractor governed by the CCB. In short, that’s ANYBODY that promises, advertises, delivers or performs improvements, repairs or alterations to, (but not limited to) real estate, structures property and/or land. This entry was posted in Company Info, Plumbing Tips, Re-post and tagged CCB, Plumbing Certifications, Portland Plumber on February 9, 2015 by Ti Sutherland. In at least some cases, they are selling and installing equipment improperly. In recent weeks, suspects tried to solicit work cleaning ducts and inspecting heating & air systems both door-to-door and through phone calls. Generally, they targeted Willamette Valley homeowners over age 65. One suspect fled in his van after a caretaker for an elderly Keizer resident called the heating company to verify employment. “It is rare for legitimate, licensed contractors to go door-to-door, and they don’t usually call you out of the blue,” Construction Contractors Board Enforcement Manager Stan Jessup said. The suspects give out a business name with their pitch to work. When homeowners say they don’t recognize the business as the one they normally use, the suspects often say they are a subcontractor. Or, they might say they bought another company’s maintenance contract or they use a different assumed business name. At least 10 legitimate heating and air conditioning businesses report people fraudulently claiming to be affiliated with legitimate HVAC companies. The Construction Contractors Board is among the state and local law enforcement agencies that are investigating cases. 2) Report suspicious encounters to police or sheriff’s deputies. Also, alert the CCB (503-934-2229) or the Oregon Department of Justice (877-877-9392). 3) Never give out personal information such as a Social Security or credit card number or pay in cash. This entry was posted in Family & Home Safety and tagged CCB, Portland Plumber on February 2, 2015 by Ti Sutherland.